By Morgan Grubola • Hardcover • 11.25 x 11.25 • 64 pages • Includes a 21-track music CD! 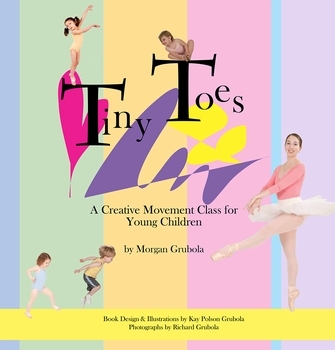 Specifically designed for children ages 2�5, TINY TOES: A Creative Movement Class for Young Children focuses on learning dance through the M.E.G. (Movement, Expression and Growth) technique developed by author Morgan Grubola. This enchanting book allows children to use their imaginations to dance with fanciful animals of all shapes and sizes on an elaborate stage. Healthy bodies and cognitive growth are closely linked in young children, so engaging them in movement is beneficial on many levels. To activate both their bodies and minds, Tiny Toes offers 19 different exercises designed to develop strength and flexibility, promote intellectual growth, and encourage performance skills in young students. The book, which includes a 21-track music CD, outlines instructional strategies for parents and teachers, as well as exercises focusing on stretches and axial and locomotor movement. 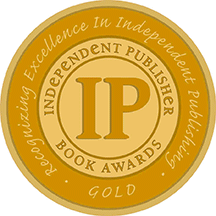 Exciting stories about the make-believe world of the stage, produced in beautiful full-color illustrations, describe the dance steps and provide inspiration for the young dancer in your child.